When I was in my early 20's I spent it mostly looking for a relationship. I didn't know what my future plans was, I just knew that I wanted a man, and I wanted a relationship. But the problems were I didn't know what I wanted in a relationship,and I didn't know the warning signs that the relationship was falling apart, and I also didn't know the warning signs that he was checking out of the relationship; I let my thirst of wanting a man, and my fear of being alone keep me from the truth. But now as I enter my mid to late 20's, I have taken a full break from dating, and wanting a relationship. To build a stronger relationship with myself, and also to learned more about what I need, and desires in a relationship; I realized that these are signs that not only that I look past in order to be with a man; but a lot of couple look past because when a person check out of that relationship, they check out completely. They don't care about the other person feeling, they care about their feelings and their feelings only after their heart completely check out of the relationship. As I continue my quest of finding my inner peace from my past dating experience, and my spiritual growth as a woman. 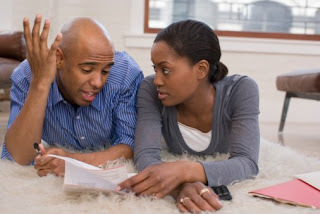 I will share these warning signs of when the relationship is fallen apart, and heading towards a break up. But remember some of these are warning signs and can be repaired if, and only if you both want to save the relationship. When in the beginning stages of the relationship it's was nothing for him to meet your needs. He put your happiness and needs before his own, and you did the same for him. You made sure that his happiness, and needs was met in the beginning of the relationship as well. But now neither of you care about each other needs, when you get to the point where you don't want to pick up a piece of paper for each other it's time to take a deep look into the relationship between you two, and see what is the problem between you two. Because sometimes life can hit us and make us too busy for that person we love without realizing it, you both are upset with each other for not slowing down, and putting your relationship needs before anyone, and everyone else's. 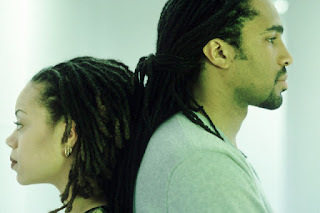 But however if he is at the point where he no longer wants to meet your needs, and you are at that point as well, then it's an early signs of the ending of the relationship if you not willing to meet each other basic needs in the relationship, then it's best to part ways from the relationship. 2. You're complaining about the same thing over and over again/ you can no longer agree over important issues. During the early stages of the relationship, you two were a team. Whenever there was a problem between you two you guys made it your mission to not take any disagreement you both had between each other to bed, because if there was an issue you both had with each other you were able to sit down at that moment and talk it out. You both trusted each other so much that you felt that you could share whatever problems you had with each other without feeling like you putting that person down, or that you talking down to that person. But after a while that bond has fallen apart, you both can't agree with nothing without feeling like you want to put your hands in that person (and if you get that feeling that you want to put harm to that person as a way to get your point across then it's time to leave the relationship because it's a toxic to you and your mind mentality violence is never the answer to get your point across). And it's always the same the disagreement, you both refuse to come to an understanding about the problem at hand. And now you both at the point where you not speaking to each other, and now keeping secrets because every time you two speak on an important issue you both are arguing about the situation instead of finding a common ground to fix the issue at hand. 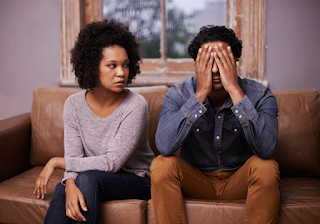 If you are at this point in your relationship then it's time to take a step back, and look at what cause the relationship to get at this dark place. And to see if you can repair the relationship and find that love that is missing between you two. But if you can't find the root of the problem, and you both are keeping secrets, and the communication between you two is unfixable then it's time to part ways because without strong communication the relationship won't last. 3. You're happy when you are alone/ when you don't hear from each other for a period of time. At first you have to be under your man every day or damn near every day. Seeing him made your heart melts and when he texts you "good morning" you felt butterflies. Nothing made you feel pure happiness or fall more in love with him when he thought about you first, and made the first move to contact you, it's made you feel special. And he felt the same way about you. He was sprung, and deep in love with you as well. His friends would make fun of him on how he would act when he saw your name come across his phone, his whole mood would change when he saw a text from you. He had no problems with letting be known he wasn't going out tonight because he wanted to spend time with you, and you were the same way with your friends, you and him were in your own world that nothing and no one could get into no matter how hard they tried to get in. But now you both are happy when you don't see each other for a good length of time, just being around each other make you both unhappy. You both no longer have that needs to see each other, you can damn near go days close to weeks without seeing each other or being in contact with each other. And now it's a must to go out with your friends after you both isolated yourself from them for a long period of time in the early stages of the relationship, and now you both are isolating yourself from each other. Sometimes space can help the relationship after being so used to being under each other every day, but going days and weeks on end without seeing each other, or talking to each other is a strong break down of the relationship and soon you both will just officially end it. 4. You're feeling increasingly depressed, more withdrawn and easily irritable with each other. When you fall in love with a person you should feel joy,happiness,peace,and completion of finding someone to share your thoughts and feelings with. And to go from feeling pure joy to feeling depressed out of the blue, mean they’re a dark cloud in your relationship that need to be addressed. But sometimes it's not the relationship,or the person that you are upset with it's can be you. When wanting to be in a relationship we lose a big piece of ourselves we tend to put our whole mind and spirit into the relationship. While there is nothing wrong with that because love is when two soul become one, you not supposed to lose yourself in the process of with being with someone. As we contiune on the quest of finding ourselves we tend to think that a relationship will help our quest and complete that journey, but another person can't complete you; YOU complete you, a person just add to your completion. And that why so many relationships failed because we don't take the time to really look deep for what we need in the relationship in order to make the relationship work, we quick to say we want a "good man" or "good woman" but don't know how to keep them when we get them because in truth we are not really happy with oursleves cause a person can only fill a void before they can no longer filled that void. and If you are becoming easily irritable, and feel withdrawn, and depressed in your relationship, then it's time to asked yourself "how did you get to this point where your spouse can no longer pleased you,or make you happy like they did in the beginning of the relationship? ", "and why do they make you feel so irritable, and withdrawn when you are them?". Because a relationship is not a "get out of jail" free card from finding yourself,and it's no reason to stay in a relationship where you are not happy anymore, and if you feel like you can't share your feelings with your spouse anymore, or if you don't want to share your feelings then it's best to just end the relationship until you finish your own completion of self, because if you don't take the time to fully know yourself, and what you need in a relationship, no relationship will work until you find yourself,and build a stronger relationship and love with yourself. Everyone relationships are different. We look at other people relationships, and paint a picture in our mind that we want the same thing not realizing that we are not in their relationship, we are on the outside looking at a portrait that hiding more than what meet the eye. It's like I said before it's easy to want a relationship but hard work to keep a healthy relationship. But so many rush into a relationship hoping that it's can fix whatever missing from your life but if you don't go on a journey to experience life alone you just going to round up with an unnecessary heartbreak blaming that person who broke your heart, and spirit but not looking at yourself. A relationship can only fill so much before it's leaves you feeling empty, and leaving you looking for answers that only you know the true answers to. But all I can do drop some knowledge that hopefully will help on your journey for lifetime love, and relationship.